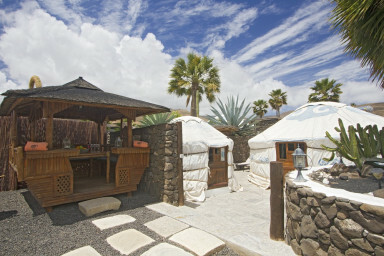 The Eco Palm Yurt has easy access to a shared area by the pool providing you with, BBQ and chill out lounge. 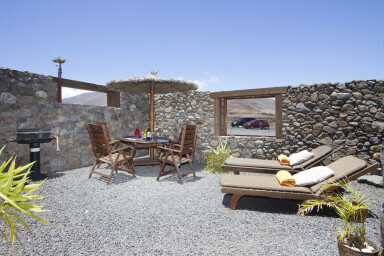 Enjoy the mountain and sea views from your south-facing private terrace – with sun-loungers, barbecue and outdoor dining area. 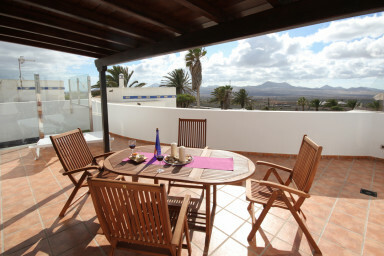 Eco casita is an semi-detached holiday home, is set next to the stunning pool and chill out area. 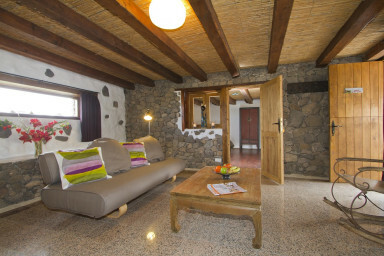 This environmentally friendly wood and stone lodge is set among the beautiful gardens. 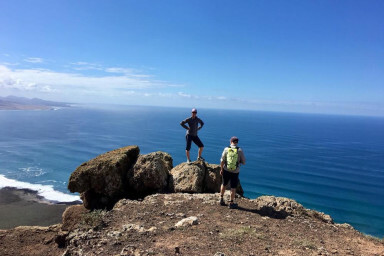 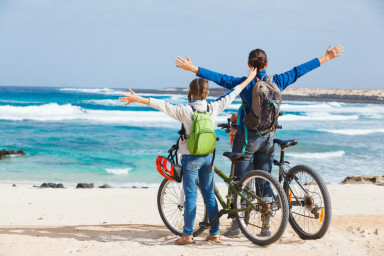 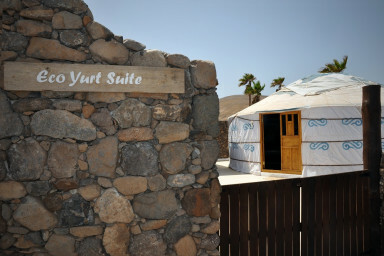 Eco Yurt is where you can relax and enjoy the sea and mountain views from your private decked patio. 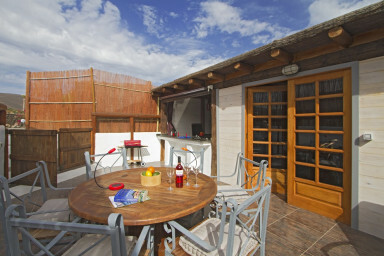 The Eco Garden Cottage are complete with wooden sun loungers, barbecue and dining furniture for four people. 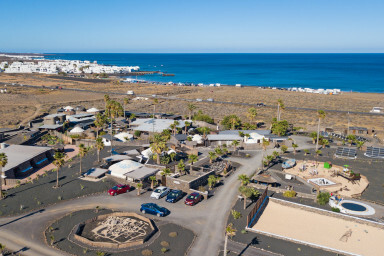 Casa Lila is situated in the quiet, coastal fishing village of Punta Mujeres where guests can experience the laid-back Lanzarote lifestyle. 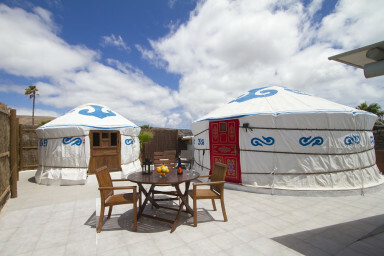 These two genuine Mongolian yurts, which sit side by side, are an ideal choice for two couples or a family. 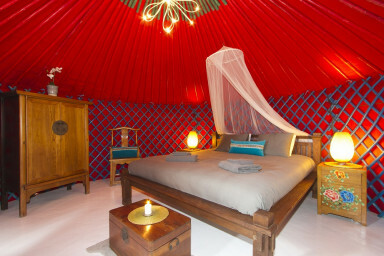 This luxury villa with design influences from Morocco and Indonesia have created a sumptuous and exotic ambience. 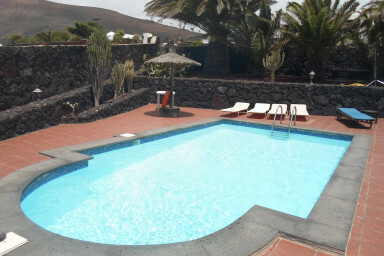 Perfect situated holiday home, Canarian architectural style, three bedrooms, beautiful private garden and terrace, plunge pool, peaceful atmosphere. 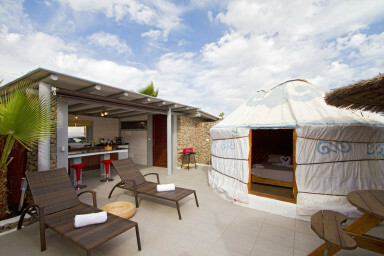 This eco-friendly luxury twin yurt consists of two adjacent authentic Mongolian yurt pods. 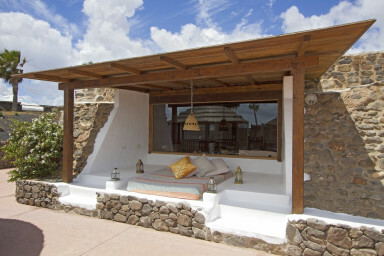 This Eco Barn has an large lounge with patio door that is light and with seating for six guests. 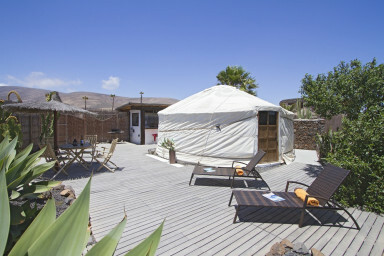 This Yurt has fabulous views over the whole eco retreat, down to the sea and the local fishing village of Arrieta. 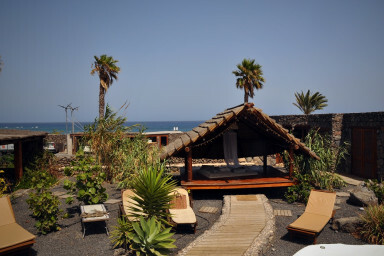 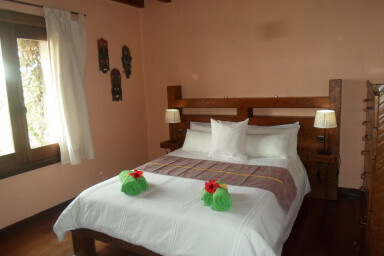 Luxury beachfront apartment with panoramic sea views that is ideal for family / couple looking for extra space.